What Is Same Day New Smile™? Be free from pain and love your smile in as little as 24 hours. 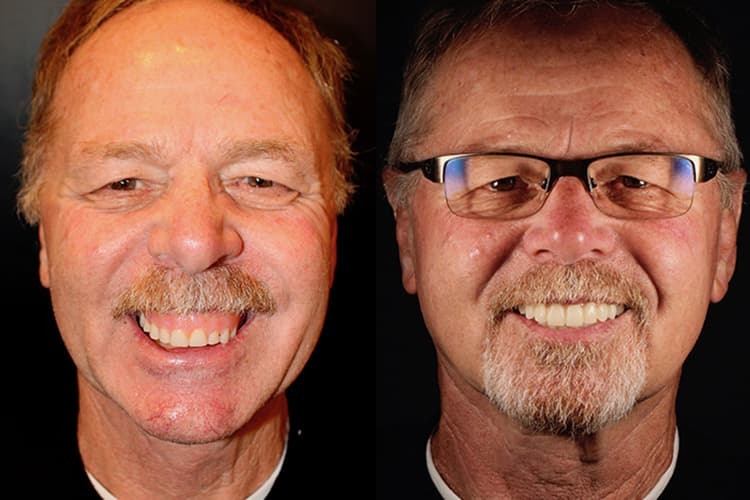 If you have missing teeth, are tired of dentures, or have failing dentistry, please come in for a free consultation to see if Same Day New Smile™ is right for you. Love Your Smile. Love Your Life. 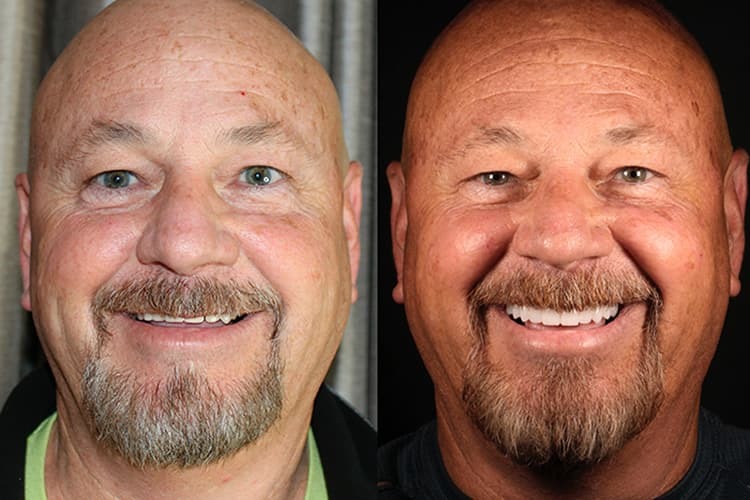 Same Day New Smile™ can make it happen. This includes anyone who is missing multiple teeth and does not want to undergo the investment in money and time with replacing each tooth with a dental implant. This includes anyone who is tired of ill-fitting dentures or is looking for an alternative to dentures. This includes anyone who has been getting multiple dental procedures but is still feeling painful symptoms and still spending a ton of money with no end in sight. 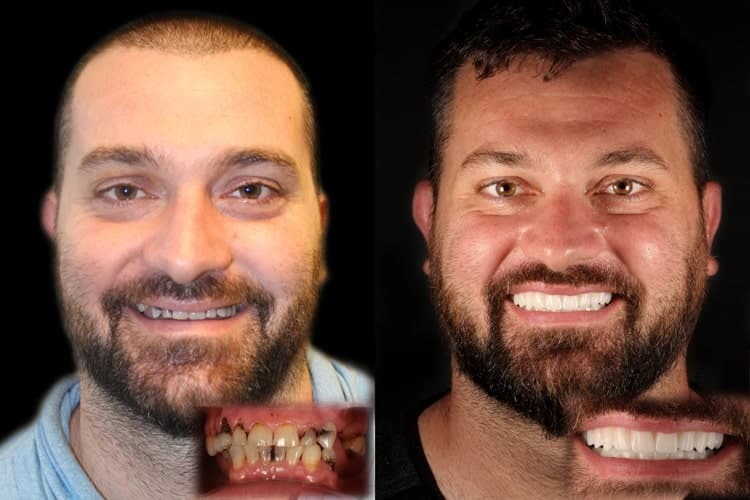 Dr. Shawn Keller can fix all of that, thanks to Same Day New Smile™. 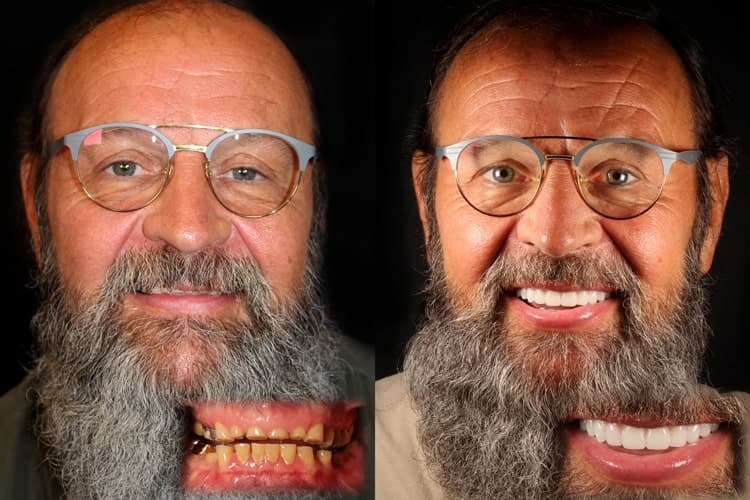 Watch this video and imagine replacing your teeth in one day! Imagine: Biting into an apple without your dentures slipping or looking 15 years younger. That is all possible with Same Day New Smile™. 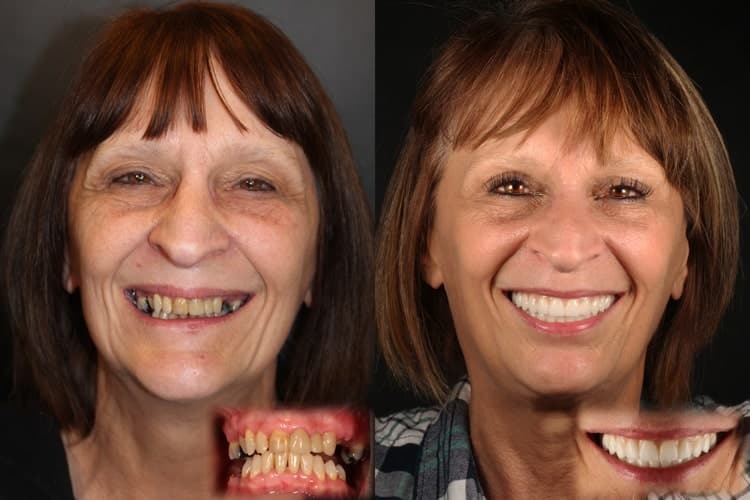 This revolutionary dental service consists of Dr. Shawn Keller placing four dental implants in the upper or lower jaw and then placing a gorgeous bridge to mimic the look and feel of your natural teeth. It performs all the functions your teeth had before, including an attractive smile, chewing, speaking, supporting the jaw, and keeping your airway open. The best part? All of this can all be done within 24 hours! 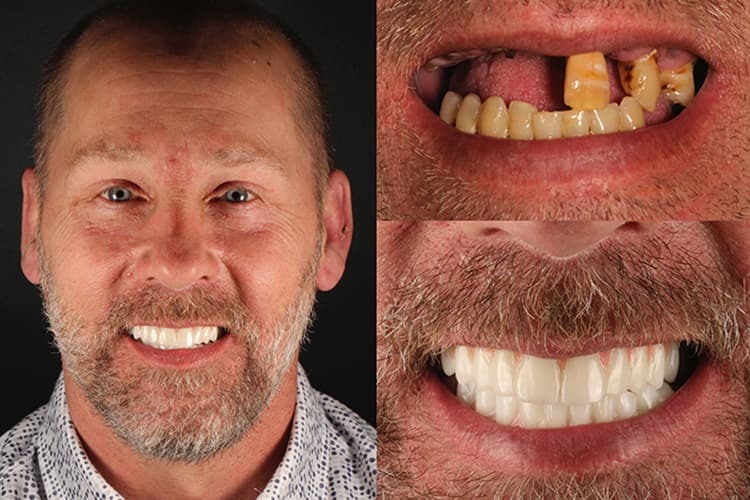 Combining his 20 years of training, extreme levels of technology, and handpicking a dynamite team, Dr. Shawn Keller has invented this technique to deliver the results patients have always wanted – in a fraction of the time. Too good to be true? We invite you to schedule a complimentary consultation. You can expect one-on-one time with our team where we’ll talk about your goals and determine if Same Day New Smile™ is right for you – at no obligation to you. See the Tears of Joy! Many of our patients have travelled from the Seattle-Bellevue area and even out of town to receive our modern dental services. 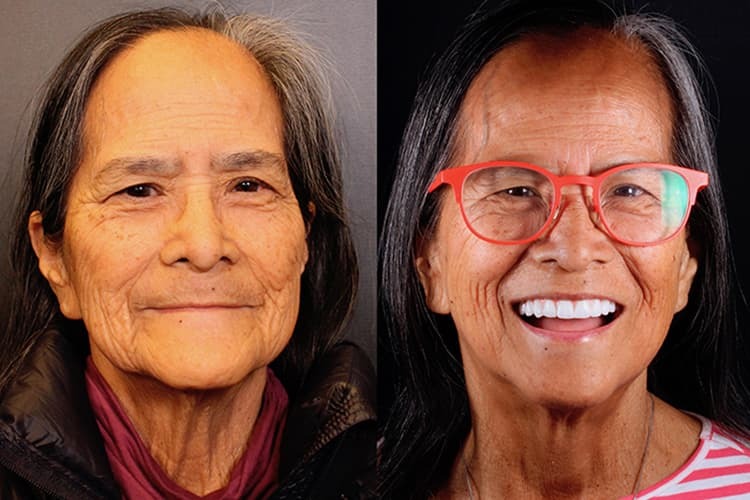 Watch our videos and see how Same Day New Smile™ changed our patients’ lives. Your new smile is only a few clicks away. I want a new smile! How Can You Get a New Smile in One Day? 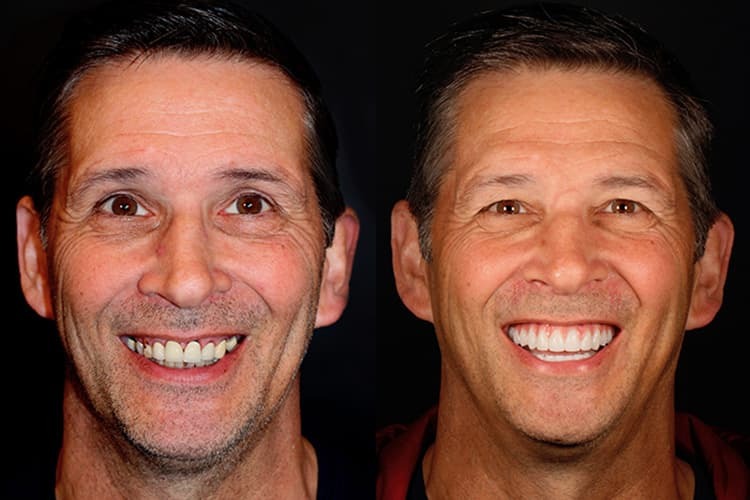 With 20+ years of training and modern technology, this Redmond dentist makes it possible. Watch Dr. Keller talk about Same Day New Smile™ on New Day Northwest! This visit focuses on your needs and what you’re looking for in a smile. How healthy do you want your mouth to be? Once healthy, how important is it for you to maintain that? How important to you are the cosmetics of your teeth? 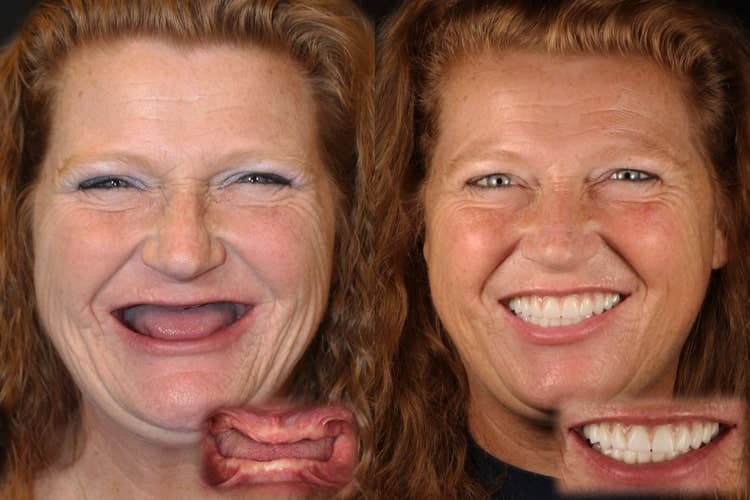 How interested are you in facial changes that could make you look younger? Are there any barriers holding you back? Once we determine you’re a candidate for Same Day New Smile™, we start gathering your records and take many photos to start planning your new smile. Trios Digital Scan – This scanner generates a digital impression of your teeth, doing away with the need for “goopy” impressions. Tekscan Bite Scanner -The Tekscan generates a diagram of the pressure points when you bite. This helps us balance your bite perfectly—ensuring your dentistry lasts a lifetime. Cat Scan – This type of scanner is usually found in hospitals; however, Dr. Keller has one right at Smiles by Design. It helps Dr. Keller to plan your entire procedure from start to finish – before starting surgery! Face Hunter -The Face Hunter scanner creates a photo-realistic 3D digitalization of your face. Face Hunter not only makes the planning process more reliable and but also helps us match our work flawlessly to your facial features. We can give you a very realistic idea of what the final work will look like. 3D Printing – We can design and print your appliances and temporaries the night before your surgery, so nothing holds you back from smiling the moment your surgery is done. 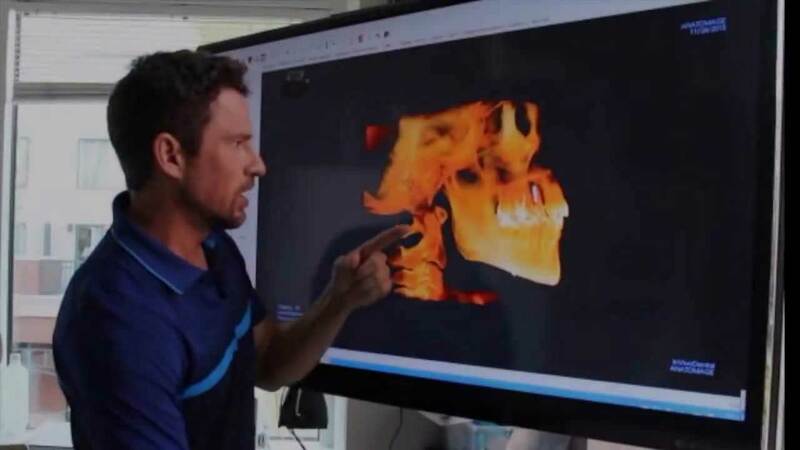 Seeing is Believing – This is just a taste of all the modern technology we offer for your new smile. Schedule a consultation with Dr. Keller today to see the rest of our technology arsenal. With our experience combined with technology, we can have your entire treatment planned and ready to go BEFORE you even start surgery. The day is finally here! Worried that surgery is going to be painful? We offer many methods to ensure you’re comfortable from start to finish. Sedation Dentistry: Want to sleep throughout your procedure? 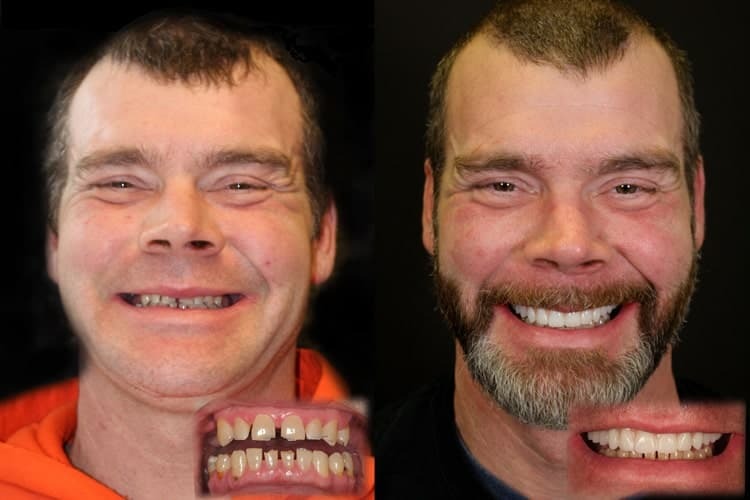 That’s possible with sedation dentistry. You’ll wake up to a new, beautiful smile. Stem Cell Therapy: This therapy is what makes it possible to get your new smile in one day. 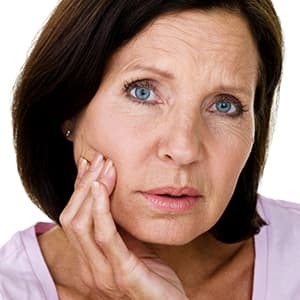 Stem cell therapy accelerates tissue regeneration and helps you heal much more comfortably and quickly after getting dental implants in one day. This is the same healing technology elite athletes, such as Tom Brady, have received to help reconstruct injured tissue. Once you’re comfortable, our surgical team will put into action all the planning we’ve done to get Same Day New Smile™. You’ll wake up to a new, beautiful smile. Many of our patients have let out tears of joy after looking in the mirror. We’re confident you will too! Have Any Questions About Same Day New Smile™? How is it possible to leave with my new teeth in just one day? 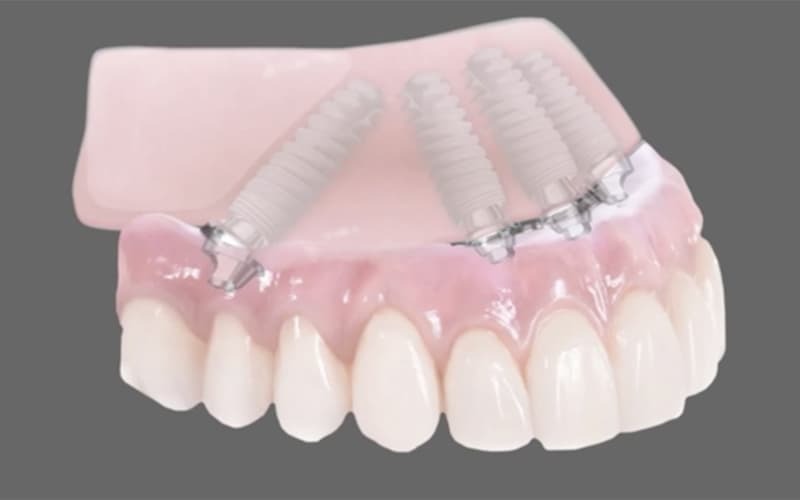 How can just four implants replace all my teeth on the top or bottom? What if I don’t have enough bone for this procedure? How can a smile be made in one day, and what if I don’t like it? I know dental implants can be expensive; is this going to be affordable? 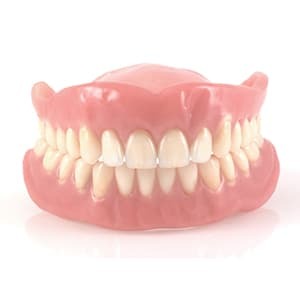 Will my new smile look like real teeth? I’m very nervous about dental treatment. Is there anything that can help with that? Looking for a getaway as well as the best in cosmetic dental implants services? Washington state is your answer! Many of our patients are from out of state and love the idea of being able to get their beautiful new smile in only two visits. Washington is a perfect place for the entire family. Dr. Shawn Keller and our friendly staff will be glad to help you make travel arrangements. Just call us at 425-558-1515 to get started. Is Same Day New Smile™ Right For You? Schedule your free consultation with Dr. Keller today - what do you have to lose? Simply enter your name and email and press the button below to download the answers to Dr. Shawn's most frequently asked questions.